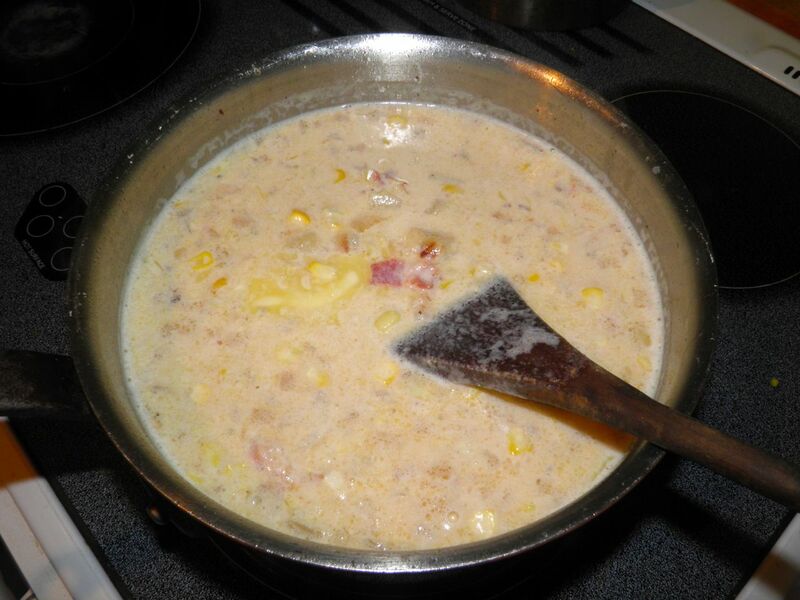 Usually... corn chowder calls for a couple slices of bacon. This takes 3/4 of a pound. Yes, it’s a lot of bacon. But I have my excuses. It was raining cats and dogs, I had/have a sore back and was/am in need of comfort. 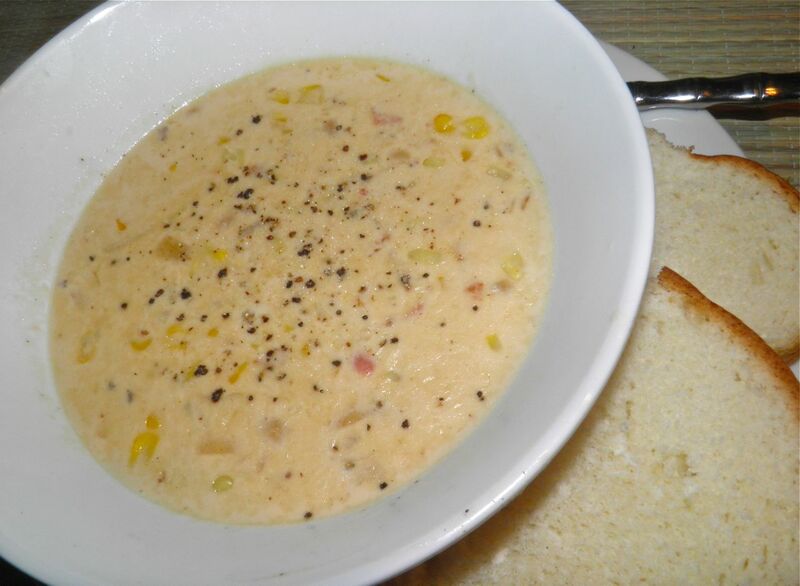 This chowder delivers, in spades. Corn is just about at its peak right now in Nova Scotia, if not a little past. Last week groceries were selling 10 for $2. This recipe uses three ears. 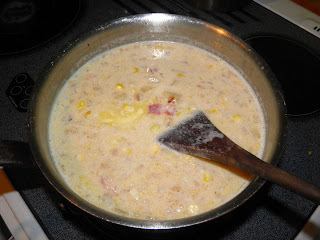 Fresh corn in chowder is always the way to go, not creamed corn. Creamed corn is gross. Does anyone actually seek out cans of creamed corn to eat? Would you admit to it? 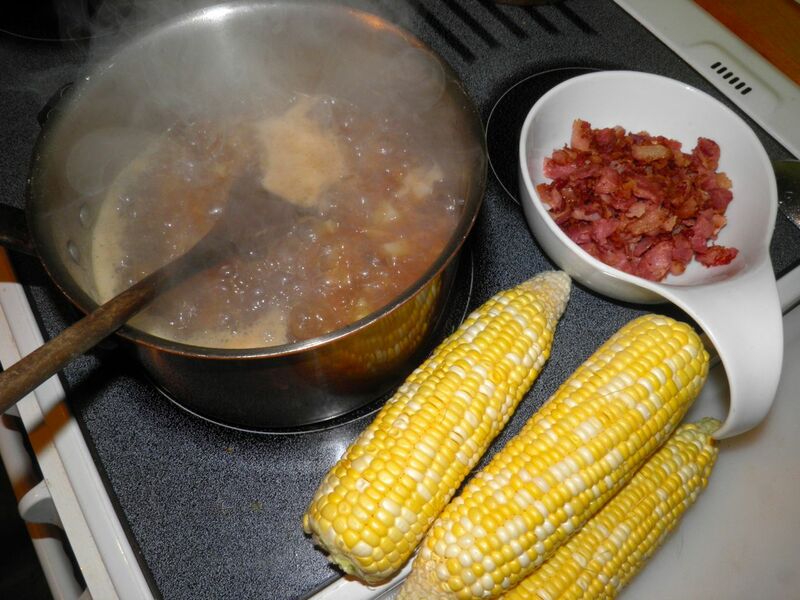 potatoes, corn, fried crispy bacon. I can’t believe I haven’t posted it before. I guess it’s one of those basics you assume everyone knows how to make. But that’s not necessarily the case. So now it’s memorialized, or more accurately, in a place where I can find it for next time! Makes enough for 4 for a main dish or 8 for an appetizer.